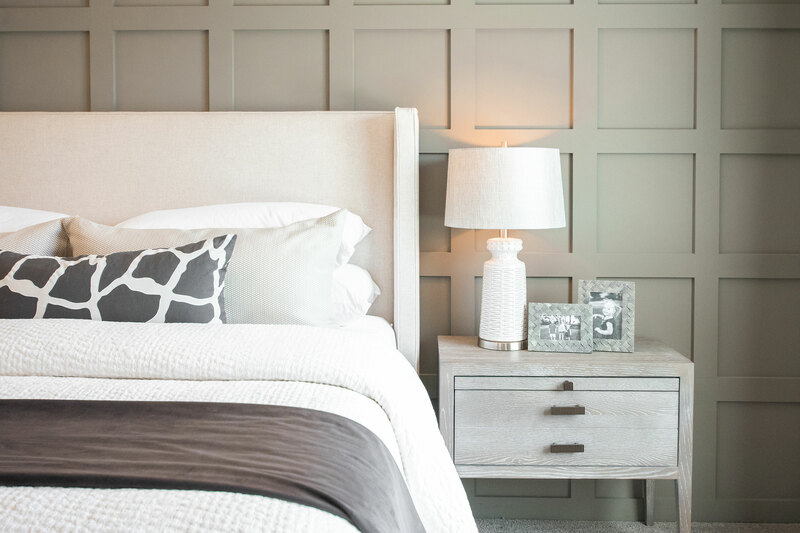 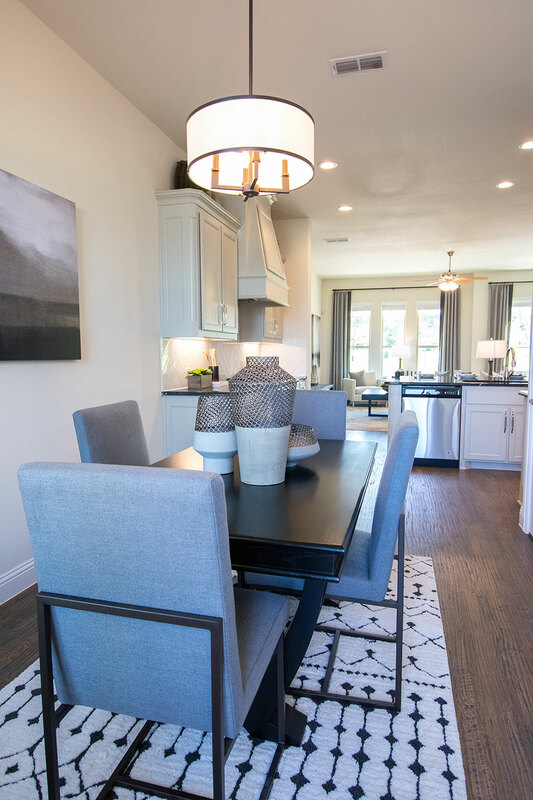 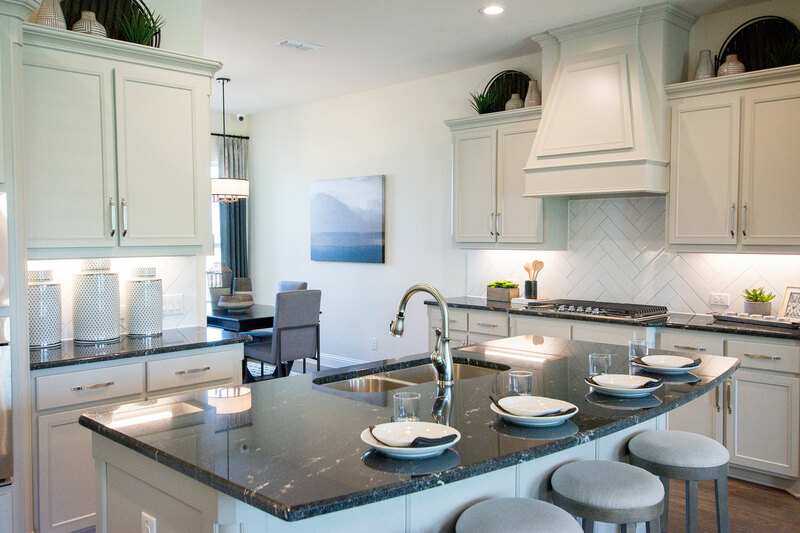 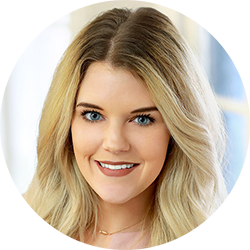 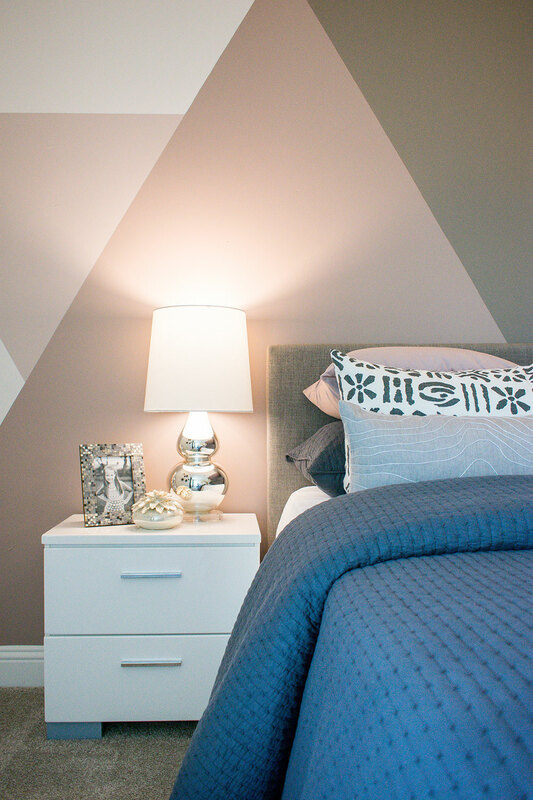 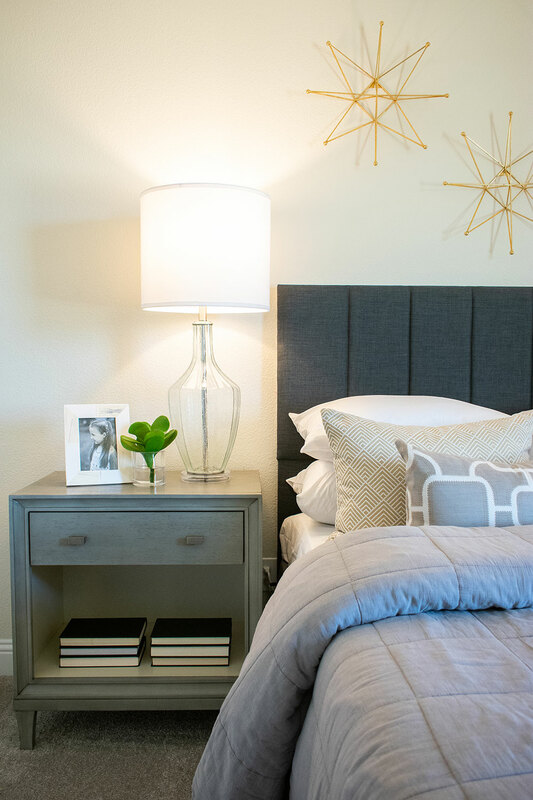 The Riverwalk at Central Park is located in an up and coming area of Flower Mound, so the inspiration for the model was to create a contemporary feel for young buyers. 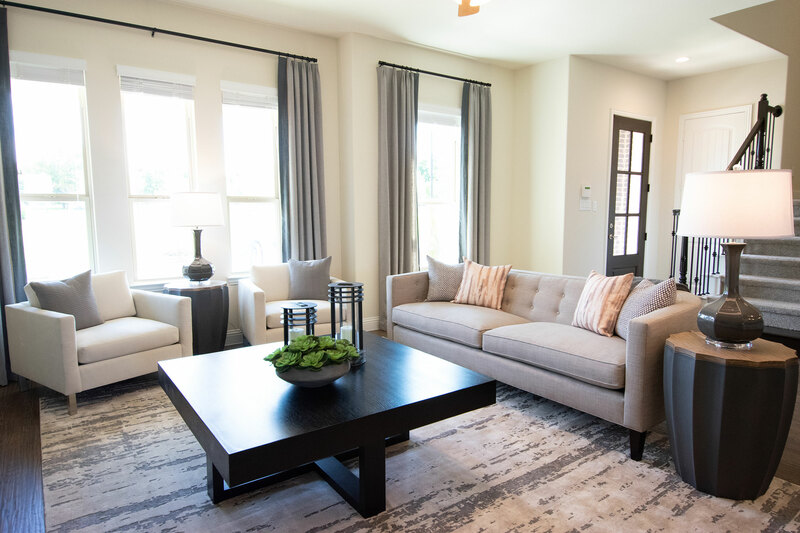 Dark contemporary furniture contributes to the sleek feel of the home, while the simplistic neutral color palette with charcoal accents appeals to all age ranges. 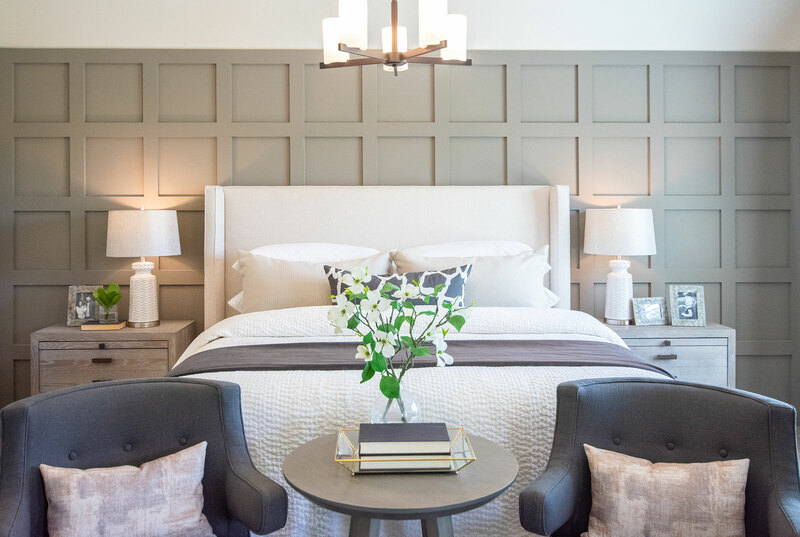 The details found in this townhome help to create a refined, memorable and welcoming space.